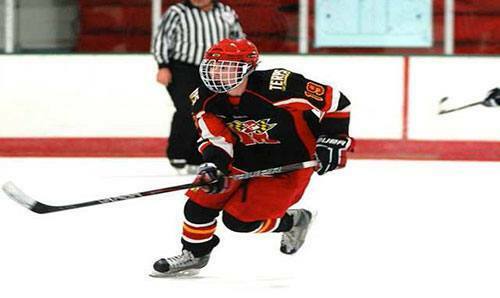 In December 2012, while playing ice hockey for the University of Maryland, I suffered a hip check to my left hip. I immediately went down to the ice in serious pain and was unable to put any weight on my leg. Over the next 10 months I saw multiple doctors who misdiagnosed my injury three times. I was initially told that I had a bone contusion, then a fracture of my tailbone, and then a partial labral sprain. Finally, I was referred to Dr. Andrew Wolff who reviewed my imaging (I had multiple MRIs and X-Rays done on the hip) and was able to immediately tell me that I had torn at least 3 cm of the labrum in my left hip joint, and that I suffered from Femoracetabular CAM Impingement. I was very impressed at Dr. Wolff’s ability to immediately recognize the source of my pain and discomfort. He clearly explained that the pain I was feeling in my groin was manifested from the injury in my hip joint and that the best solution at this point was to have surgery for the injury. Dr. Wolff conducted the surgery himself and oversaw my rehabilitation process. Although I missed the entire 2013-2014 hockey season, I have started every game in 2014-2015 and have no pain whatsoever. The procedure to correct my CAM impingement and labral tear was a complete success and I owe that completely to Dr.Wolff. Dr. Wolff consistently impressed me in two ways: his medical knowledge and his bedside manner. Dr. Wolff is easily the most knowledgeable doctor that I spoke to from the time of my injury through my recovery. He fully understood the injury, its causes, the healing process, and was able to answer any questions that I had. He was able to anticipate my progress and clearly articulate the nuances of my injury without being too technical. Dr. Wolff’s bedside manner is exceptional. He is very patient, kind, and easygoing. I have had many doctors for various illnesses and injuries, but have felt they were impatient or couldn’t relate to my activities. Dr. Wolff was always very welcoming and took a genuine interest in my overall health and recovery process. I felt that I could ask him any question and trust him to provide an honest answer. I highly recommend that if you have an injury involving the hip, that you take the time to meet with Dr. Wolff.